We just wanted to let you know that we’ll be tabling one last time for the Senior Class Gift to the Alumni Fund at the Resource Fair tomorrow in Paresky from 10 am – 2 pm. This will be your last opportunity to make a cash gift! You can also make your gift online: give2.williams.edu. Thanks to the 186 members of our class who’ve already contributed – we’re aiming to hit a goal of 215 donors by the end of this year’s Fund on June 30, so we hope you’ll step up and join us in giving back to this amazing place! Though we’re about to graduate, our relationship with the college will continue once we’ve left the Purple Valley (though fortunately without any Williams finals). Supporting current and future students and faculty by contributing to the Alumni Fund is a way for us to give back to a place that has given us so much, and it’s also a way to continue making our voices heard once we’ve graduated. With designated giving, we can channel our gifts into the things we’d most like the college to develop, grow, and support. We hope you’ll consider making a Senior Class Gift now if you haven’t already, and we’ll look forward to being in touch again once next year’s Alumni Fund kicks off in the fall! We look forward to enjoying this week with you all and celebrating your time here at Williams. Don’t Forget! Be sure to use #Williams2017 in all your fun Senior Week posts to be a part of the story being collected by Communications! I am excited to announce that after a national search, Williams has hired Kathleen Kilventon to serve as our next Registrar. Kathleen will be joining us this summer. Kathleen comes to us from Amherst College, where she has served as Registrar for the past 9 years. 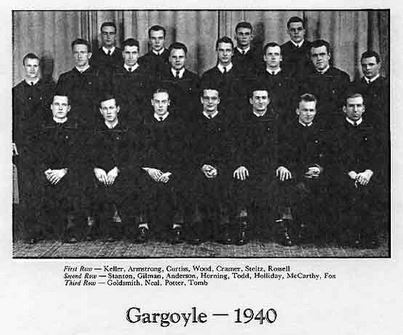 Prior to that, Kathleen served as the Registrar at the Sage Colleges in New York and MCLA in North Adams. She will be bringing us 20 years’ worth of experience in higher education, a keen interest in the liberal arts, and a strong passion for supporting undergraduates. Kathleen grew up in Williamstown, and has many family members in the area. For her and her husband, coming to Williams will be like coming home. I’d like to thank all the members of the search committee—Megan Konieczny, Jeannie Albrecht, Damian Turner, Toya Camacho, Tina Breakell, and Barron Koralesky — for their participation in the search process. I would also like to acknowledge the faculty, staff, and students who helped to organize our campus visits. Many thanks for your valuable input, and for showing Kathleen what a wonderful fit Williams will be for her skills and talents. Please join me in welcoming Kathleen to our community. … NATO, Germany, and what may become the G6. The bottom falls out of the nadir for the Covfeve-in-Chief! (This is the 15th in a series of 16 posts) … This series ran in 2009 … click Comment for complete text. 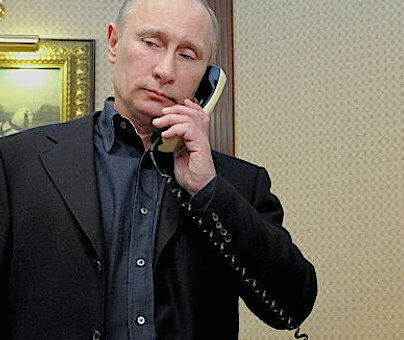 … Sorry, we need more time together on the back-channel. Does Williams? We should! Even just putting the same video feed that they pipe to Bronfman on YouTube would be useful. Our readers wanted more discussion of the new Trustee web page and the documents linked thereto. Day 3. Again, kudos to the Trustees for transparency! This is a welcome change from the way Williams has been run in the past. Perhaps the most timely document is the notes from the Board Meeting Report from April (pdf). 1) To the extent that the Board has been creating documents like this for the last several years (decades? ), it should make them public now. The more that Ephs see how well-run Williams is, the more trust we will have in the people who run it. I realize that the actual meeting notes can include a variety of material — especially the comments made on sensitive comments by names trustees — that should remain secret for years. That is OK! But generic overviews of who presented what can be made public now. The board approved the remarketing of $50.5M of existing college debt, and the issuance of up to $60M in new debt to fund a number of capital projects. The College’s debt load is perhaps the single financial I am least qualified to opine on. First, my understanding is that we can’t issue new debt unless it is going to fund new projects. Is Williams really gearing up to spend an additional $60 million? Is that all/mostly the Bronfman replacement? Second, can someone explain what “remarketing” is? This discussion seems relevant but it sure would be nice if someone were to walk through the details. Third, I continue to believe that the College has enough debt right now. Of course, I have been singing that song for 6 years. Levering up the endowment has worked marvelously well over that time period. What could go wrong? I’m delighted to inform you that, following a national search, Williams has hired a new Director of Libraries to replace Dave Pilachowski, who will retire at the end of June. Jonathan Miller, currently Library Director at Rollins College in Winter Park, FL, will begin work with us on July 31. Jonathan earned his B.A. from Sheffield (U.K.) University in Political Theory and Institutions, his M.L.S. from SUNY Buffalo, and his Ph.D. from the University of Pittsburgh. 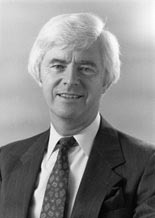 Before his 11 years at Rollins he held progressive positions in the libraries at the Ohio State University, Augustana College in Illinois, and the University of Pittsburgh. He is active in the Association of College and Research Libraries (ACRL) and serves as treasurer of the Oberlin Group of liberal arts college libraries. At Rollins, Jonathan and his staff established the college’s Olin Library as a critical contributor to academic life, partnering with the school’s Instructional Technologies team and Johnson Institute for Effective Teaching to better support teaching, learning and scholarship across campus; nurturing the college’s Tutoring and Writing Center; and refocusing and refurbishing the library to make it more appealing as a center for academic work and collaboration. For their efforts Jonathan and the Olin staff were honored with the 2013 Excellence in Academic Libraries Award from the Association of College and Research Libraries (ACRL). I encourage you to read the ACRL’s award citation to get a richer sense of Jonathan’s vision and approach. You may also find his most recent published writings in the Rollins Online collection at http://bit.ly/2rN8mxj. In accepting our position at Williams, Jonathan emphasized the appeal of working with our talented librarians and staff at Williams to build on the remarkable array of collections, services, technology, and spaces created under Dave’s leadership. I want to thank all the members of the search committee—Barb Casey, Sonnet Coggins, Edan Dekel, Danielle Gonzales, Barron Koralesky, Dave Richardson, Jana Sawicki and Dorothy Wang—for their contributions to this highly successful search. In addition, I would like to extend a special thanks to the students, faculty, and staff who participated in the effort, and especially to our librarians and support staff for their valuable insights along the way. Jonathan’s wife, Bethany Hicok, Professor of English and Director of the Honors Program at Westminster College, will join Williams as Lecturer in English in 2018. I look forward to their arrival this summer, and hope you’ll join me in welcoming Jonathan and Bethany to the Purple Valley. CONGRATULATIONS! You are so close to graduation!! On June 4th you will transition from being an undergrad to being an alum. And while you have been a student for 4 (sometimes long) years, you will be an alum for the rest of your life. I currently have the huge honor of serving as the President of the Society of Alumni, and I look forward to officially welcoming you at Commencement. I know that each of you has experienced Williams in you own unique way, and that for most of you, the past few years have surely had their ups and downs. That will likely continue once you leave the Purple Valley. But you will come to learn that there is an entire community of Ephs out there ready and thrilled to welcome you into the fold. Your Williams connections will continue to grow and evolve. And there are lots of ways to feed those connections – attend reunion every five years; participate in regional events; travel to a NESCAC school to watch your favorite team compete; come back to campus to speak to students about your career; or be a volunteer… You can be a class agent, or a head agent or a Vice Chair for the alumni fund; you can work to organize events in your region; you can be a class officer or help to organize your reunion – or motivate classmates to return to campus too; you can connect with other alums in your affinity group and organize those events. If you want to get involved, contact the alumni office (alumni.relations@williams.edu or 413-597-4151) where they will be more than happy to find a niche for you! I can tell you that personally, my relationship with Williams has only deepened over time. When I was graduating, I had a lot of mixed emotions about leaving campus. But what I didn’t expect was that my classmates and other alums would support me through good times and bad, would help me along my career path, and that Williams as a place would continue to feel like home. Through my own volunteer work, I have met so many wonderful Ephs from classes ranging from the ’40s to now ’17. And while the world has changed in many ways, what has not changed is the fundamental belief we all share in the value of receiving an excellent education, in a small place, where people care about one another and develop a strange fondness for cows and the color purple. We are all connected to each other – and we all care about you. Do not hesitate to reach out to any of us to ask for help, to request information, or just to say hi. I will see you at graduation. In the meantime, enjoy your last few days as an undergrad, and here’s to a wonderful future as an alum. Our readers wanted more discussion of the new Trustee web page and the documents linked thereto. Day 2. The most substantive page is News from the Board, a collection of both important documents (like the September 2015 Statement by the Board of Trustees and President Adam F. Falk on the College’s Role in Addressing Climate Change) and puff pieces (like this 2016 welcome to new board members). 1) Again, kudos! It is a great idea to bring together all the writings by/about trustees in a single location. 2) Why not work with ace College Archivist Katie Nash to “backfill” this page with some Williams history? 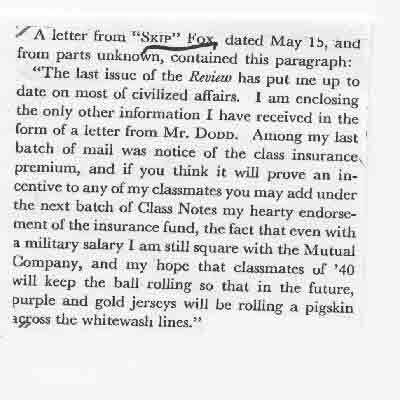 What were the disputes that trustees wrote about 10, 20 and even 50 years ago? 3) I have yet to spend a week (or two!) on the Climate Change statement. Should I? 4) The page is somewhat incomplete (on purpose?) because it does not include Board Chair Mike Eisensen’s ’77 recent piece in the Record. Anything written in the Record (or other Williams publication) by a trustee — even if it is not an “official” statement from the entire Board — ought to be included here. Our readers wanted more discussion of the new Trustee web page and the documents linked thereto. Day 1. 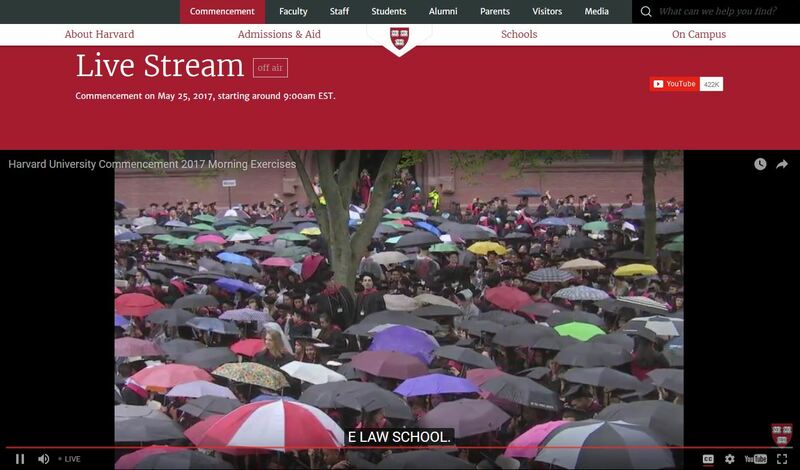 1) Kudos to the trustees (and senior administrators at Williams) for this effort! The more transparency at Williams the better. Any quibbles that I express below are minor in the context of my overall praise for this effort. There is a great senior thesis to be written about these men, and the decisions they made which helped to shape the Williams of today. For example, I have heard interesting rumors of the role that Ray Henze played in bringing Hank Payne to Williams . . .
4) I hope that the Executive Committee of the Society of Alumni — the main mechanism by which most alumni can try to influence Williams policy — follows the Trustees’ lead and increases their own transparency. When are their meetings, for example? Fortunately (? ), there is a deeper Williams connection. A Nationalist (who happens to be White) tweeted Eph quotations about the event: William Lowndes Yancey, non-graduate of the class of 1833. 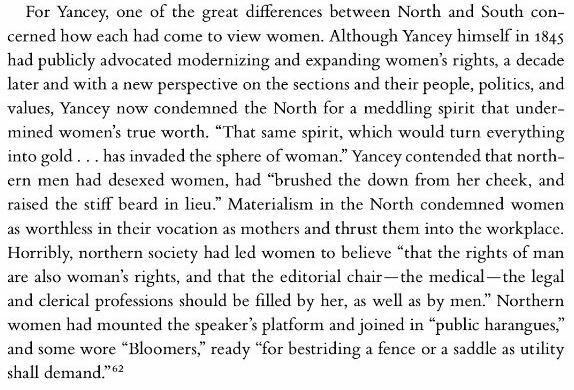 Should we spend a week on the biography of Yancey, from which this is taken? I hope this note finds you well. Last week I wrote to remind you about resources that might be helpful to you during this last big push through finals period. A few folks have asked me to provide more information. If you or someone you care about needs a helping hand this week, please encourage them to reach out to the Dean’s Office, the Davis Center, the Health Center, the Office of Student Life, or the Chaplain’s office. For the rest of this week, the Dean’s Office, Psychological Services, and the Chaplains office are available for daily walk-in support. The Chaplains office will be open for the remainder of this week from 7:30-9:30 pm if you’d like to spend some time with a chaplain. You are also welcome to drop by or call for an appointment during regular office hours. The Dean’s Office has walk-in hours for the rest of this week from 12:30-2:30. You are also welcome to call for an appointment if those times don’t work for you. Best wishes for a wonderful wrap up to the semester. Provost Dukes Love is, officially, EphBlog’s favorite senior member of the Williams Administration. (Dean Dave will always be our favorite administrator.) Dukes is (almost?) as committed to transparency as we are! 1) Recall his decision to make public all historical versions of the Common Data Set. 2) Having considered my question, he made public his presentation materials (pdf) from the Alumni Leadership meeting. Well done! 3) He makes other material public, even before we ask! Consider this Reporting on Staffing (pdf). Any interest in spending a few days going through these materials? As you rack up more and more “last time at Williams” experiences, please accept my heartfelt congratulations and good wishes for all that lies ahead in these next couple of weeks. And, as you make plans for the final hours of your undergraduate career, I want to extend an invitation to attend your Baccalaureate service in Chapin Hall on the day before Commencement – Saturday, June 3 at 5 p.m.
Each year lots of students ask what Baccalaureate is; of all the pieces of Commencement weekend tradition, it seems to be the least familiar. It’s a quieter, more reflective occasion than Commencement itself. I would say that gratitude is really the hallmark of the occasion: it’s a time to steep yourself in what this place, these years, these people have meant to you or made possible for you. If the Commencement ceremony is a time to celebrate the accomplishment of it all, then maybe Saturday afternoon’s “pre-ceremony” can be a time, just before you have your degree in hand at last, to ponder the meaning of it all, for one last time together. By tradition Baccalaureate is steeped in spirituality – but not in any narrow sectarian sense. Our service will be broadly reflective of the diversity of your class, and of the depth of your reflection about the meaning and purpose of your education and your life. For some of you, an event that brings together many different forms of spirituality may be quite unfamiliar: it’s still a pretty rare thing in this world for people of different religions and no religion to sit respectfully and joyfully side by side at an occasion of prayerful reflection. That makes the fact that we do it here that much more significant. The speakers at Baccalaureate tend to be at least as good as the speakers at Commencement. This year’s Baccalaureate address will be given by a former Poet Laureate of the United States, Billy Collins – whose wry and insightful poems I commend to you in suggesting that we’re in for a fine speech. President Falk will also offer you his parting reflections, which are always heartfelt and eloquent. The readings, music and prayers from many traditions will be given by your classmates – sealed with two great pieces of choral music sung by the Baccalaureate Choir (in which some of you are singing – thanks!) conducted by Nathan Leach and Jordan LaMothe. So your class’s fingerprints are all over everything – as well they might be, given who you all are. I hope Baccalaureate will add perhaps a little depth to all the breadth and height of your celebrations on the final weekend of your undergraduate career. I hope you’ll be with us at Baccalaureate. I will always consider it an honor and a great joy to have been here with you – to have overlapped with you in this time and place. It’s already hard to imagine Williams without you. May these final weeks of final accomplishments and joyful spring be a time of wide blessing and deep satisfaction for you and all your friends and family. No kidding. EphBlog has made this prediction over and over and over again. The more control that Williams students have over life at Williams, the better. The more people (intelligent and well-meaning though they may be) that are hired by the College to “help,” the less active students will be. The main rational used by CUL in establishing OCL 14 years ago — All the other schools have one so it must be a good idea! — was stupid then and it is stupid now. Writer Ainsley O’Connell tells a depressing tale. Anyone who cares about student life at Williams must read the whole thing. When I arrived on campus, director of campus life Doug Bazuin and his staff were a distant idea, not a reality. Barb and Gail administered activities on campus, helping students schedule events from their fishbowl office at the heart of Baxter Hall. Linda Brown administered room draw, her maternal warmth and firmness easing the process. Tom McEvoy (who has since departed) and Jean Thorndike provided big-picture support and served as liaisons between students and administrators. When students were moved to champion a new policy or party idea, Tom and Jean were willing to listen, and often to lend moral and financial support. The execution fell to students, but this sense of responsibility fostered greater ownership. Great stuff. One of the purposes of EphBlog is to capture this sort of testimony, the thanks of current students to the staff members that have done so much. First, note how the JA system magically disappears. The “50 junior advisors” for Bates are listed under “Student Staff” but, at Williams, they have vanished. Second, the CUL pretends that Dean Dave Johnson ’71 does not exist. The countless hours that he spent (and spends) working with the JAs and First Years doesn’t matter. Yet you can be sure that one of the “3 Assistant Deans” at Emerson does exactly what Johnson does at Williams, although probably not as well. Third, the CUL erases all the work and commitment of people like Linda Brown and Tom McEvoy, as evoked so nicely by O’Connell. None of this is surprising, of course. Morty decided in 2000 that there were certain things about Williams that he was going to change. By and large, he has changed them. He and (former) Dean of the College Nancy Roseman and (former) CUL Chair Will Dudley implemented Neighborhood Housing, the biggest change at Williams this century. It was a total failure and has now, thankfully, been removed. Schapiro, Roseman and Dudley went on, despite this disastrous own goal, to college Presidencies at Northwestern, Dickinson and Washington and Lee, promotions which doubled (even tripled) their Williams salaries. 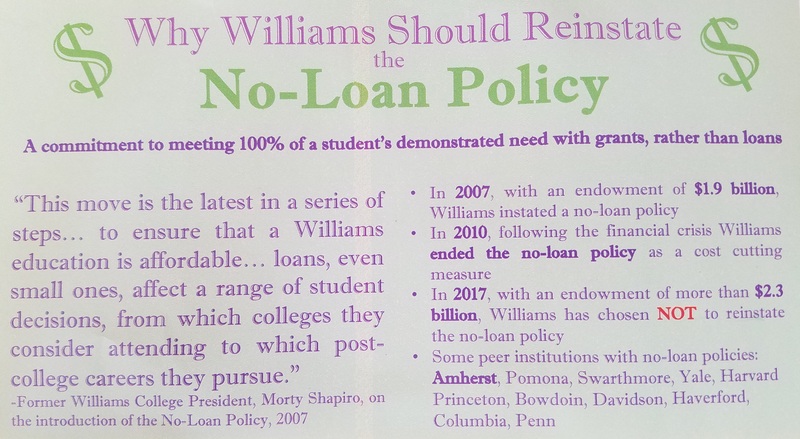 I will not dispute that in 2003 Williams needed a stronger support system for students looking to launch new initiatives and throw events open to the campus. For many, extracurricular activities had become a burden, with unreasonably long hours spent planning and preparing events down to the last detail. Yet today, some of the best and most innovative groups on campus remain far-removed from campus life, driven by highly motivated and talented individuals. Take Williams Students Online, for example, or 91.9, the student radio station: Their success lies in their student leaders, who have been willing to commit their time to making sweeping changes that have transformed WSO and WCFM, respectively. It may have been reasonable for O’Connell not to see, in 2003, how this would all work out, but she is naive in the extreme not to see now that this evolution was inevitable. How shall we explain it to her? Imagine a different paragraph. I will not dispute that in 2003 Williams needed a stronger support system for students looking to launch new publications and manage current ones. For many, writing for and editing student publications had become a burden, with unreasonably long hours spent planning and preparing everything down to the last detail. 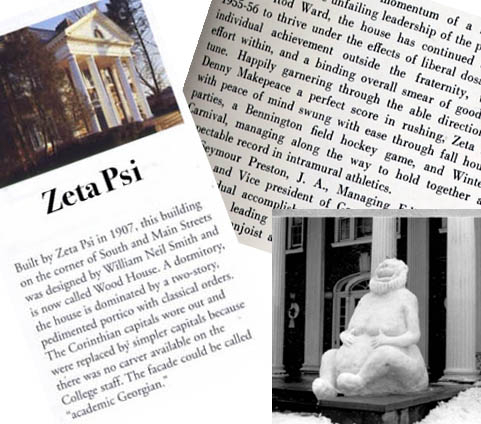 Yet today, some of the best and most innovative groups on campus remain far-removed from the Office of Campus Publications, driven by highly motivated and talented individuals. In other words, why isn’t it a good idea for Williams to create an Office of Campus Publications [OCP], with a Director of Campus Publications and a staff of Campus Publication Coordinators? After all, as the meltdown of the GUL in 2001 (?) and the Record‘s occasional inability to pick a single editor-in-chief demonstrates, students sometimes need help. They often make mistakes. Who could deny that having someone to “help” and “support” the Record (and GUL and Mad Cow) wouldn’t make those publications better? No one. Perhaps OCP would even have prevented the demise of Rumor and Scattershot. But would the experience of the students writing those publications be better with a bunch of (intelligent, well-meaning) paid employees of the College hovering over them? No. That should be obvious to O’Connell. Writing for and editing the Record these last 4 years has probably taught her as much about life its own self as any aspect of her Williams education. If she had had a Doug Bazuin equivalent supervising her all this time, her experience would not have been as rich, her education not as meaningful. As always, critics will claim that I am advocating that the College provide no help or support, that we abolish the Dean’s Office. No! Some support is good, just as some social engineering is desirable. But, on the margin, the contribution of the OCL is negative. Vibrant means “long hours spent planning and preparing events down to the last detail.” This is exactly why student institutions like WCFM, WSO and others (Trivia? Rugby? Current students should tell us more) are so vibrant. O’Connell acts as if you can have a vibrant organization or community without time and trouble, sweat and tears. In fact, you can’t. O’Connell writes as if vibrancy appears from nowhere, that someone just sprinkles magic pixy dust on WSO and WCFM. No. Vibrancy, community, innovation and almost everything else worth having in this imperfect life require “unreasonably long hours” and “preparing everything down to the last detail.” You don’t think that Ephs like Evan Miller at WSO and Matt Piven at WCFM sweat the details? Think again. Unfortunately, the Office of Campus Life and the Dean’s office, which oversees it, have not fostered this model. Instead, both offices have moved in the opposite direction, at times going so far as to render student involvement wholly superficial, as with the planning of this year’s Senior Week. The senior officers elected by the Class of 2006 do nothing more than choose tablecloth colors; it is assistant director of campus life Jess Gulley who runs the show. Hovering over student shoulders, the campus life staff of today is like a mother or father who wants to be your friend instead of your parent. The office should cast itself as an administrative support service, not the arbiter of cool. Harsh! True? Current students should tell us. But note that this is not Gulley’s fault! I have no doubt that she is wonderful and hard-working, dedicated to making student life better. Each day, she wakes up and tries to figure out how to make this the best Senior Week ever. That is, after all, what the College is paying her to do. In that very act, of course, she decreases the scope of student control and involvement. Back in the day, students handled almost all aspects of Senior Week. 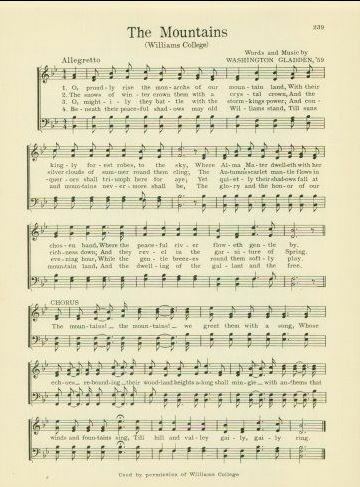 I still remember dancing the night away, in my dress whites, at Mount Hope Farm, the most beautiful Eph of all in my arms. No doubt this year’s seniors, 28 years younger than I, will have a fine time as well. Because of Gulley’s involvement, it may even be true that the events are better planned and organized. Yet everything that she does used to be done by students, hectically and less professionally, but still done by them. The more that students do to run Williams, the better that Williams will be. This is a revised version of a post from 2006. … Trump continues the bands’ breakthrough with Russia! My Signature: Does it say the right thing? I have written for help to the ‘Handwriting‘ forum of the Fountain Pen Network blog. Here is the response so far. 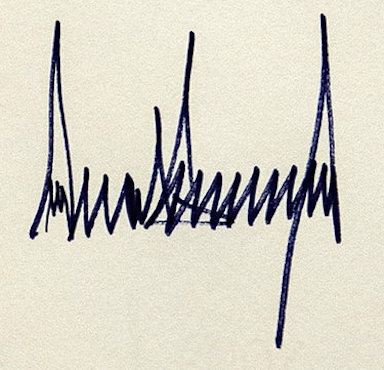 I really need to have my signature perceived as written by one who is a leader, an intellectual, and a loving person of great compassion. Perhaps Ephblog readers may have an opinion or two. 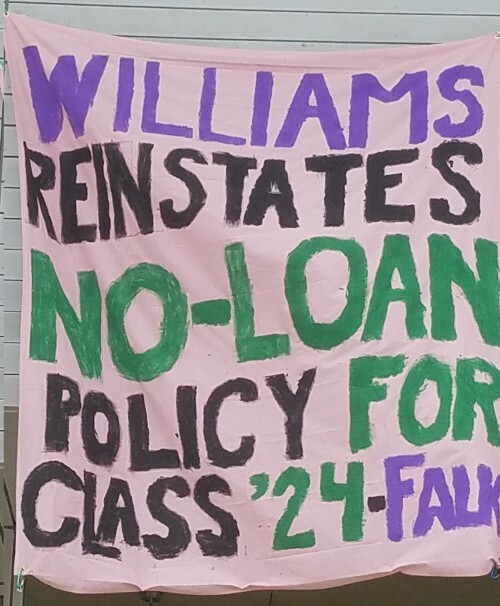 An editorial on the subject of alumni donations published in the Williams Record this week seems to suggest that *the student body* may have found a new reason to yell at the administration. That the school chose this area to make their cuts should be warning enough, but what is truly disheartening is that seven years removed from the depths of the financial crisis with a larger than ever endowment of at least $2.3 billion, the College has made no moves to reinstate the no-loan policy. Meanwhile, it has found the funds in recent years to begin several large-scale construction projects. In the realm of financial aid, it has instead hired a dean to oversee the Offices of Financial Aid and Admission. By all appearances, the history of the no-loan policy at the College is rather straightforward: the College introduced the no-loan policy to compete with peer institutions, ditched it when it prohibited it from spending on areas it cares about more than allowing students from lower incomes the freedom to pursue post-graduate options without debt and then, after finding its prestige relatively unaffected by the whole ordeal, never looked back. It is currently unclear if anyone actually plans to protest this, but it seems unlikely that there will be any discussion of the merits of resurrecting such a policy. Marko Remac ’80: Work in Rome at the invitation of Pope Francis. 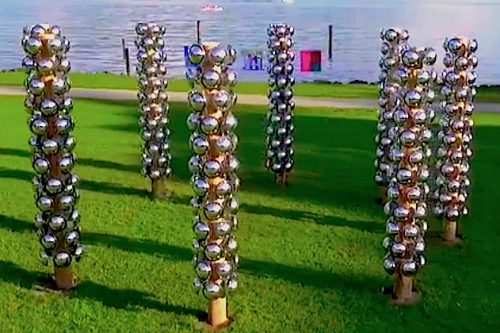 Marko Remec is a conceptual sculptor living and working in New York City with his wife and two children. Born in 1958, Remec graduated with degrees in Studio Art and Chemistry from Williams College and earned his MBA from Stanford University’s Graduate School of Business. In his works, Remec visualizes the oft-invisible aspects of the global political machine—threat, negotiation, and compromise. Having spent twenty-five years as a Mergers & Acquisitions specialist at two of the leading financial institutions on Wall Street (Morgan Stanley and Lazard), he is well versed in “corporate warfare” and the inextricable link between economic and actualized conflict. Warping function and re-contextualizing form, Remec distorts traditional expectations of usage and scale to incisively examine systems of power and the ways in which they affect our perceptions and realities. Remec’s most recent work is his ongoing Totem Series, in which he uses flag and utility poles, both regular fixtures of the urban and suburban landscape. Adhering readymade objects to the poles, such as safety mirrors, bicycles, mops, brooms, and rearview mirrors, he transforms them into contemporary totems. 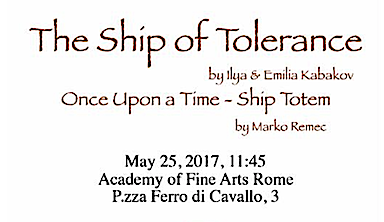 The totem is displayed with The Ship of Tolerance, a floating conceptual work 0f Ilya and Emilia Kabakov. 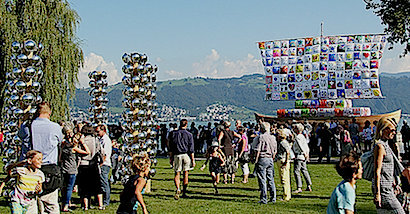 The installation in Zug, CH. Comments Off on Marko Remac ’80: Work in Rome at the invitation of Pope Francis. as the semester wraps up…. I hope this note finds you well. As the semester draws to a close and we enter reading period and final exams, I wanted to remind you all to take good care of yourselves. In between your studying and writing, be sure to eat well, get as much rest as is feasible, and treat yourself with kindness….you deserve it. Please remember that our campus offers numerous resources that might be helpful to you if you are experiencing significant stress and anxiety, or feel overwhelmed. Feel free to reach out to the Dean’s office, the Chaplain’s office, Health Services, the Davis Center, the Office of Student Life, and Academic Resources. You don’t need to have a specific question or concern…..just a desire to connect and find support. And if you are aware that a friend or classmate is struggling, please help them find their way to us. Samori Etienne is a well-rounded student at Columbia High School. He likes most subjects, plays soccer, is president of the Student Council, and is part of the Parnassian Society. He will graduate in a few weeks. And like approximately 90% of the seniors at CHS, he plans to move on to college after graduation. He spent the better part of the last few weeks considering which school to attend next. And like a growing number of CHS students, Etienne was lucky enough to gain admittance to more than a handful of elite schools. In fact, he got into more than a handful. 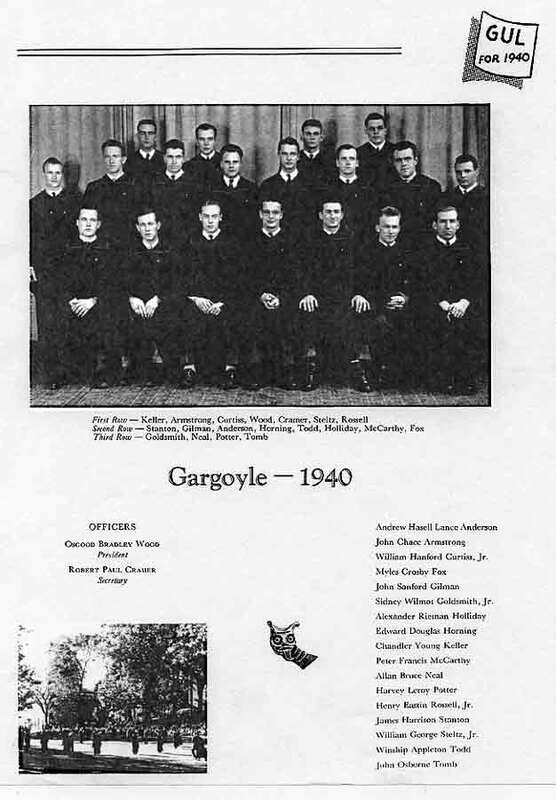 These schools include: Amherst College, American University, Boston College, Bowdoin College, Brown University, Columbia University, Franklin & Marshall College, Georgetown University, Haverford College, Princeton University, Rutgers, Seton Hall University, College of New Jersey, Swarthmore College, University of Pennsylvania, Wesleyan College, Williams College and Yale University. Kudos to Etienne for making such a smart choice. Williams College was the lucky school he chose. “They flew me in for two weekends. It was a nice view of what the school is like,” said Etienne. Beyond the students and top notch academics, he said he enjoys “the picturesque campus and the nearby mountains” (Williams is in northwestern Massachusetts, near the Vermont border). 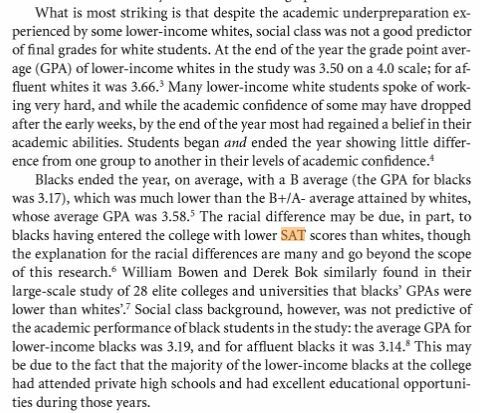 Williams should devote more resources (and more financial aid) to students who are also accepted by Harvard/Yale/Princeton/Stanford. 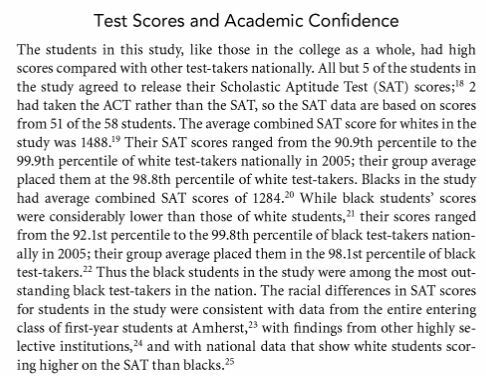 From page 22 of Race and Class Matters at an Elite College by Amherst professor Elizabeth Aries. Interesting stuff! Should we spend a week on other highlights from this book? Williams College – Worth the Hassle? Suppose you’re a middle-class student. Williams College accepts you, as do other prestigious institutes–and modest, but inexpensive ones. Your primary interest is establishing a base to build a stable, profitable career. Given these conditions, is going to Williams College or any other distinguished college the evidently preferable route? I think not. An article by the prudent Marty Nemko I came across before my attendance of Williams presents a solid argument for attending the humble community college. I ultimately chose Williams because of my financial circumstances and intetest in academia. Those students looking for a career, however, may desire to choose another path. EphBlog is powered by WordPress and delivered to you in 2.560 seconds using 65 queries..